The buzz around content creation, content marketing, and content in general, is getting louder. The subject of content has become complex. This article opens the dialog about content from the reader’s point of view. The one who is on the receiving end of the content produced. The Web is the go-to place for information, and after twenty-five years of using the Web, we’re good at researching and reading. These days we’re reading content generated on a consistent, or automated basis. Experts, authorities, and opinions abound in a quantity of content, and we’re wading through a surplus of information. “The content bubble is about to burst,” says the marketer creating content. “Content marketing is dead,” days the chief information officer. The way to simplify something complex is; state the obvious and return to the origin of the contextual definition. The obvious issue about content; there are two people involved in creating content. The person who writes the content and the person who reads the content. So just who is reading the content? Unless the person engages with you after reading the content, you may not know. The genuineness and the originality of the content will reach the reader. Content should complement and supplement existing knowledge Click To TweetRespecting the person you are communicating with is the first step to resolving the complexity of creating content. Instead of relegating people to a particular group, understand people are individuals, and they have prior knowledge. Content is the material in speech or literary work. It is presented in a form, or style, to promote ideas, a message or a thesis. A thesis is a statement or theory put forward to be maintained or proved. The creator of the content within a book, a literary work, is a writer, and an author if the book is published. The Web gives everyone the opportunity to write, or create content. Written and visual content exist within a website. The prompt of “What’s happening?” “Join the conversation.” “What’s on your mind,” invite you to create content. “Hello world, this is my blog,” continue the sentence and tell your story. For some it is easy, for others it is unpleasant. Staring at a blank page, and what do you write? A writer will answer you immediately with the latest story or content running through their mind. Their imagination is captivated by the subject and they will tell you all sorts of interesting facts about what happens when you write “hello,” and connect with the world. On the Web, the content of a thesis, a sales pitch, and a conversational blog post are all content. All this content finds a home on a Website. There are no hard and fast rules about when and where you can publish content on the Web. Content is defined as a literary work having a marked style intended to create a particular effect. A sales promotion, for example, has a marked style with a particular effect. But a sales promotion isn’t a literary work. A literary work is a formal style of elaborate writing. An author uses a formal elaborate style of writing. Writing content for a book and the Web are two entirely different kinds of writing. Logging onto the web and writing in the log was called a weblog, so named by Jorn Barger. In 1997 Peter Merholz shortened the word to “blog”. Blog content was written with an informal conversational style. The personal blog was a single person who wrote content into the blog. The blog built social relations with readers who subscribed to the blog because they enjoyed reading the content. The word blog was used as a noun and then as a verb to post to one’s blog devised the term Blogger. The original blogger platform product was developed by Evan Williams from Pyra Labs. Blogging became popular in 1999. In 2003 Google bought the platform and this became Blogger. A very popular blogging platform but not in the WordPress software. The blog was a personal account of events in life. The entries were journals. 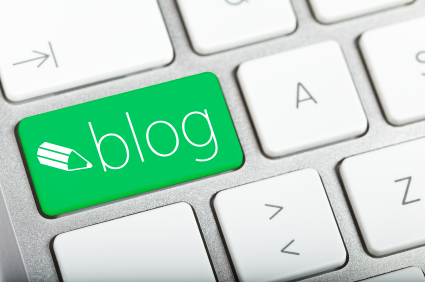 The blog has evolved the writing of a blog rather than a personal journal. It is an information source, a means of communication. In fact it is a vital tool of communication on the web. A blog opens the conversation. One of the major changes of our interaction on the Web was being able to comment and interact with the person who wrote the blog post. Another change was the introduction of forum software. We now have online communities and forums contributing to the discussion and learning through the blog. Another popular blogging platform is WordPress started in 2003 by Matt Mullenweg and David Little. The project was picked up to improve the blogging software dilemma Mullenweg was using. As a result, WordPress has grown to be one of the most popular softwares used for blogs and websites worldwide. There are a variety of different publishing platforms for blogs and websites. The Web is a publishing platform for commerce, education, research, and personal communication. The World Wide Web is the largest electronic database of it’s kind, and almost everyone has Internet access worldwide. The original purpose of the blog was communication in real time. WordPress started off as a project offshoot from b2/Cafelog, developed by the French programmer Michel Valdrighi. The blogging software dilemma was resolved. Today, we press words with WordPress, one of the best blogging platforms to have a blog, and create blog post content. The key to getting content published and read on the Web is to consider the reader. The content in the blog post should not be full of advertisements or distractions. Keep the content free of clutter. The purpose of the blog post content is to inform. Ideally, you you’re writing about a subject that is interesting to you and your readers. A layout is how the parts of something are arranged. The layout of a Web page or post page is built within tables and specific column widths. This next section show how disruptive content can be when placed in the wrong place or out of context. There are specific areas for content within the framework of a web page. The problem is not the layout of the tables, it’s with the content. The Norman Nielson Group conducted tests in 1997, on how people read on the Web. They discovered people don’t actually read the content they skim read. The content on the page has now disrupted your attention. The click me button on the right is distracting. The countdown is an advertisement because you’re running out of time. You have now lost the thread of the discussion we are having about creating blog post content. The content survives if the definition of content is understood. The content is read when there is a clear eye path and no distracting information to interrupt the reader’s concentration. How many times have you finished reading a blog post and retained the information? Not too many. Even in this post I interrupted the flow of content to illustrate the point of how we should think about creating blog post content. Creating content in a blog post needs planning. We are used to writing a composition. An article with a beginning, a middle, and an end. A blog post is a powerful communication tool so take time to think when creating blog post content.